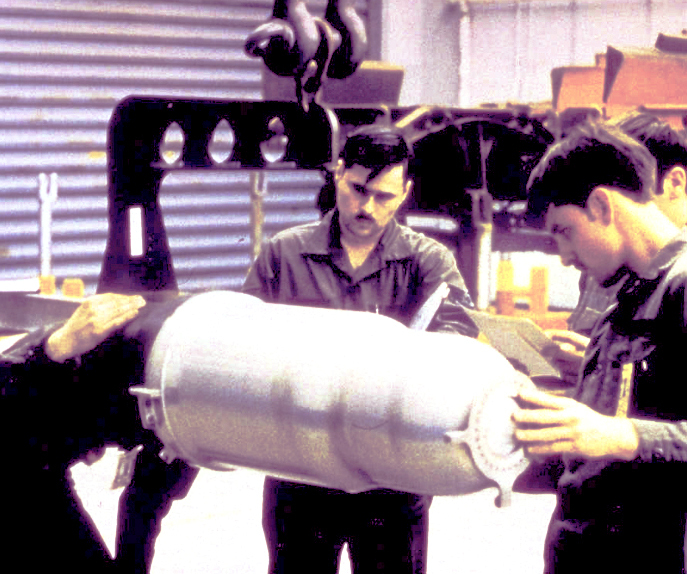 Engineers lay hands on a cruise missile warhead. Editor’s note: The Nuclear Posture Review (NPR) is the government’s most detailed unclassified nuclear weapons and war planning document. The latest NPR provides smart-sounding euphemistic and abstract terminology to journalists and others who study or report on nuclear weapons. Since such weapons produce firestorms and mass destruction on such a vast scale that adequate medical responses are impossible, the government uses bland, nondescript terminology to advocate the “need” and “usefulness” of H-bombs. In Santa Fe, Nuclear Watch New Mexico keeps a critical eye on nuclear policy programs and problems at the state’s two national laboratories that design and produce nuclear weapons—Los Alamos and Sandia. In the following article, the group provides expert analysis of the latest official NPR gibberish. If the US government were to really “look reality in the eye and see the world as it is,” it would recognize that it is failing miserably to lead the world toward the abolition of the only class of weapons that is a true existential threat to our country. As an obvious historic matter, the US is the first and only country to use nuclear weapons. Since WWII the US has threatened to use nuclear weapons in the Korean and Vietnam wars, and on many other occasions. Further, it is hypocritical to point to Russia and China’s “modernization” programs as if they are taking place independently. The US has been upgrading its nuclear arsenal all along. In the last few years our country has embarked on a $1.7 trillion modernization program to completely rebuild its nuclear weapons production complex and all weapons based on land, in the air and at sea. Moreover, Russia and China’s modernization programs are driven in large part by their perceived need to preserve strategic stability and deterrence by having the ability to overwhelm the US’s growing ballistic missile defenses. Ronald Reagan’s pursuit of “Star Wars” (fed by the Lawrence Livermore National Laboratory’s false promises of success) blocked a nuclear weapons abolition agreement in 1988 with the former Soviet Union. In 2002, George W. Bush unilaterally withdrew the US from the Anti-Ballistic Missile Treaty, which has been a source of constant friction with the Russian government ever since. More recently, at Israel’s request, the US blocked the 2015 Non-Proliferation Treaty Review Conference at the UN in New York from agreeing to a summit on creating a nuclear weapon-free zone in the Middle East (Israel has never signed the treaty). As an over arching matter, the US and other nuclear-armed treaty signatories have never honored the Treaty’s Article VI mandate “to pursue negotiations in good faith on effective measures relating to cessation of the nuclear arms race at an early date and to nuclear disarmament…,” in effect since 1970. As a consequence, last year more than 120 countries at the UN passed a nuclear weapons ban treaty. The US government boycotted and denounced the treaty negotiations, despite the fact that there have long been similar bans on chemical and biological weapons which the US has supported. With respect to North Korea, its ruling regime is clearly seeking deterrence against the US. North Korea’s infrastructure was completely destroyed during the Korean War, and its people later witnessed the destruction of the Iraqi and Libyan regimes—neither of which had nuclear weapons. The NPR claims to be about “deterrence” against hostile threats, but nuclear weapons’ accuracy replaces deterrence with plans to conduct nuclear attacks, including pre-emptive first strikes. This is why the US and Russia keep thousands of nuclear weapons—instead of the few hundred that China, England, France, India, Pakistan, and Israel keep for retaliation. Improving the ability to use nuclear weapons is the reason for the $1.7 trillion so-called “modernization” (a euphemism for developing new nuclear weapons), instead of retaining a few hundred, which are known to be “good” for 50 years. 5) Advancing the W78 warhead replacement and investigating the feasibility of fielding the nuclear warheads in a Navy missile. 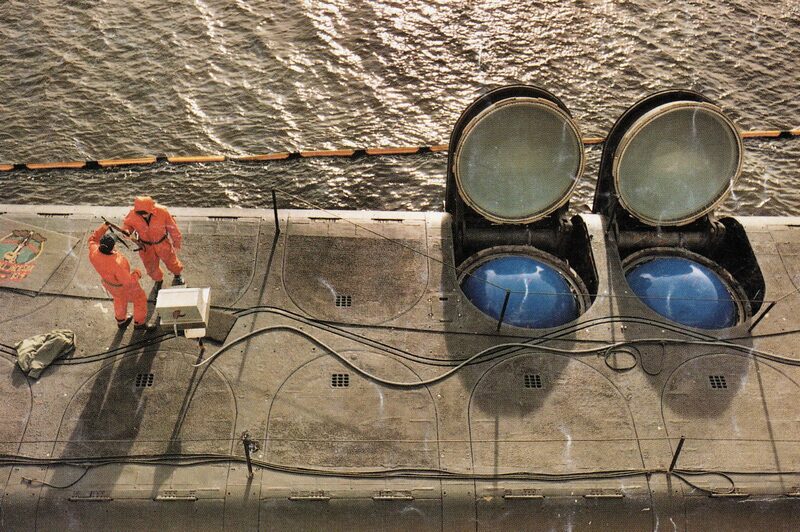 One of 14 US Trident submarines, with two of its 24 nuclear missiles visible. 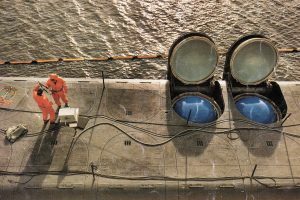 A fleet of replacement subs will cost over $313 billion. 5) “W78 warhead replacement… in a Navy flight vehicle” is code for the so-called Interoperable Warheads, whose planned three versions could cost around $50 billion. These are arguably huge make-work projects for the nuclear weapons labs (particularly Livermore), which ironically the Navy doesn’t even want. They are also driving the needless future production of “no fewer than” 80 new pits per year.